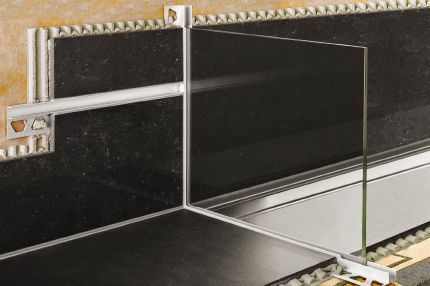 Schluter®-QUADEC-FS is a double-rail feature strip profile that features a recessed section to which field or accent tile is bonded. 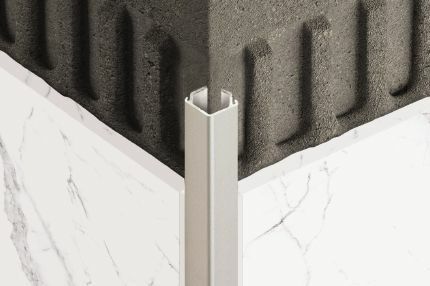 Schluter®-QUADEC-FS is a double-rail feature strip profile for producing accents in tile fields on walls, chair rails, and various other decorative applications. 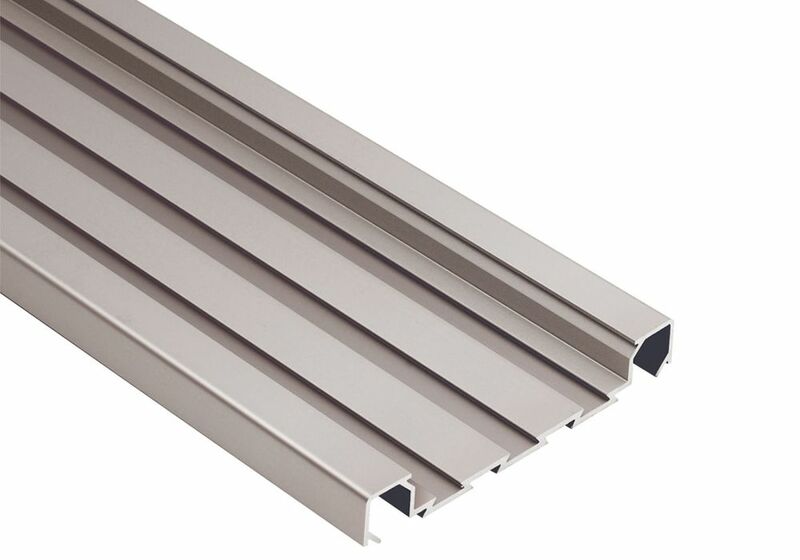 The profile is available in anodized aluminum and features a 2" (51 mm)-wide recessed section with dovetailed grooves to which field or accent tile up to 5/16" (8 mm)-thick is bonded. 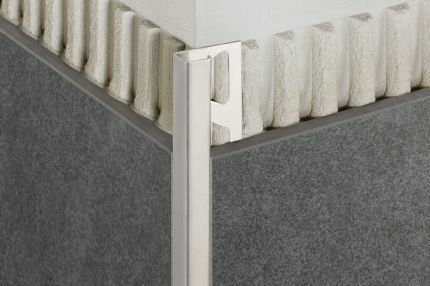 The top and bottom edges of the profile are square and designed to integrate with the QUADEC profile. 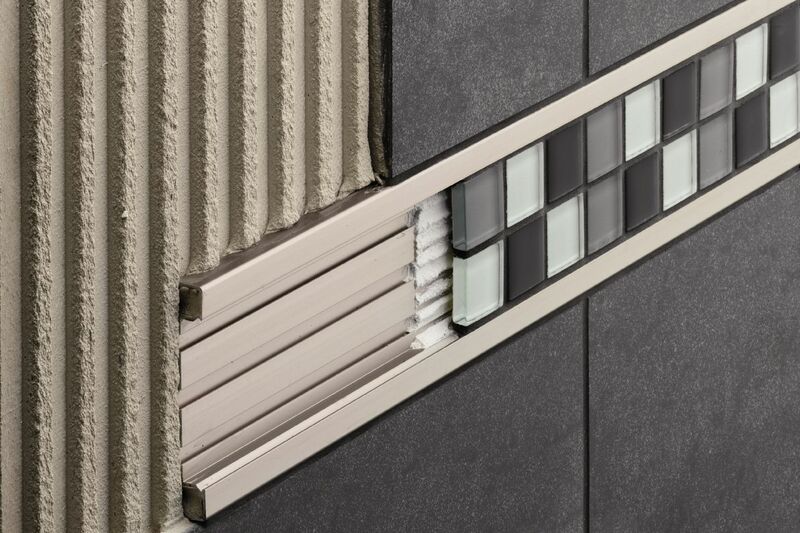 QUADEC-FS is anchored in the mortar bond coat between tile courses via its cross-sectional shape and can be used with thicker tiles by building up the setting material behind the profile. 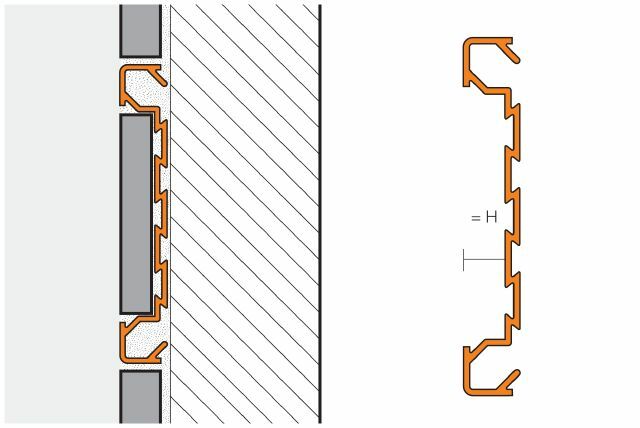 The profile may also be attached to the substrate with fasteners (e.g., where the profile is not surrounded by field tile). 1. Set tiles up to the area where QUADEC-FS is to be installed as a feature strip. 2. Using a notched trowel, apply a sufficient amount of thin-set mortar to this area and/or to the back of QUADEC-FS and press the profile into the mortar and align. 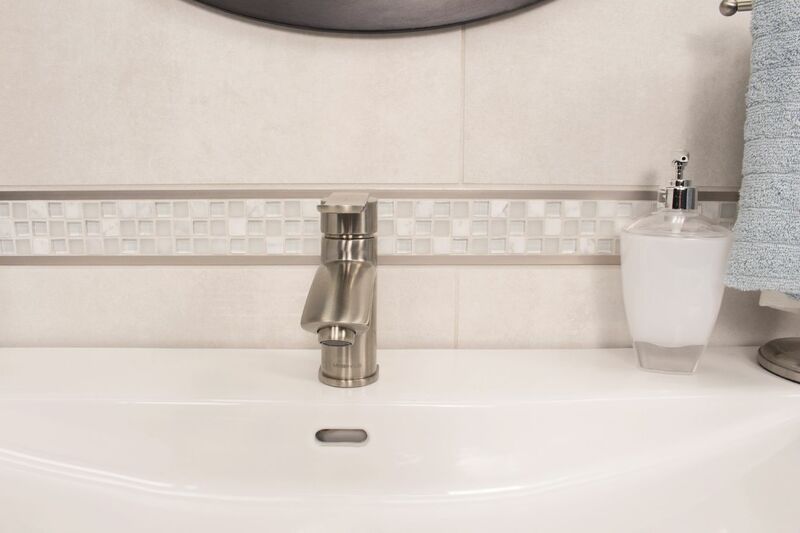 Leave a space of approximately 1/16" – 1/8" (1.5 – 3 mm) between the profile and the tile. Note: QUADEC-FS may also be attached to the substrate with fasteners. 3. Set the adjacent row of tiles. 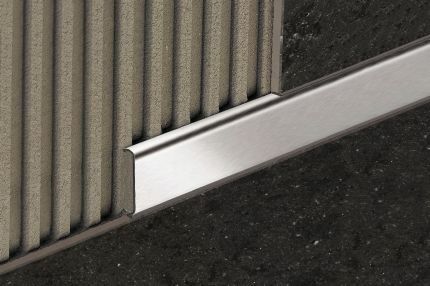 Leave a space of approximately 1/16" – 1/8" (1.5 – 3 mm) between the profile and the tile. 4. 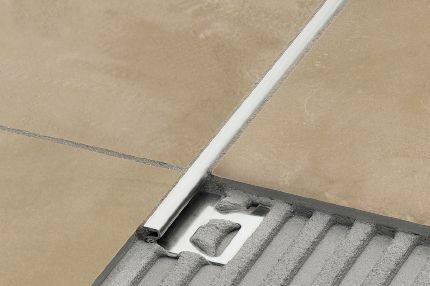 To set tile along the face of QUADEC-FS, apply thin-set mortar to the back of the tile using a margin trowel. Press the back-buttered tiles into the face of the profile, making sure to force thinset mortar fully into the dovetailed grooves. 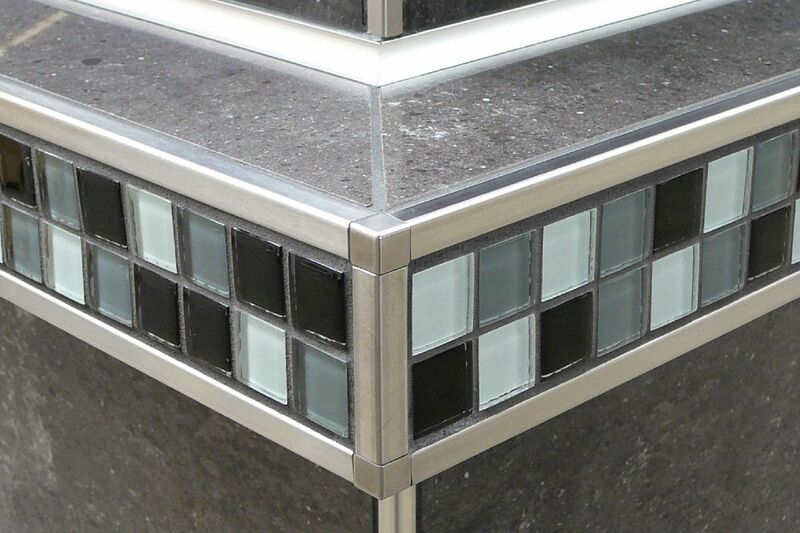 The tiled surface should be flush with the outer edge of the profile. 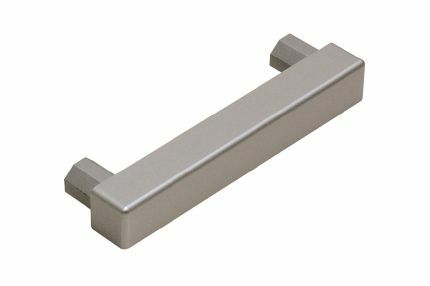 Note: The recessed face accepts tile widths up to 2" (51 mm). 5. Fill the joint completely with grout or setting material. 6. Work with materials and tools that will not scratch or damage sensitive surfaces. Setting materials must be removed immediately, especially from aluminum. 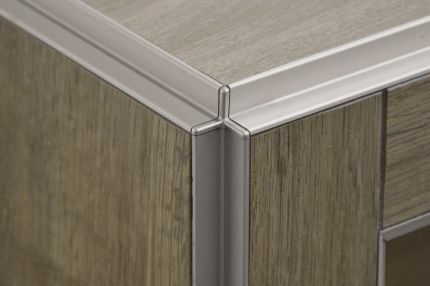 Note: Matching inside corners/outside corners/end caps are available. Corners/end caps are held in place with thin-set mortar. 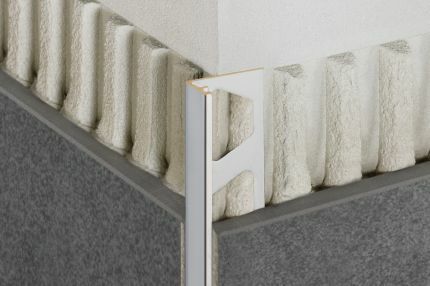 Fill the ends of the profile with thin-set mortar prior to inserting the accessories. 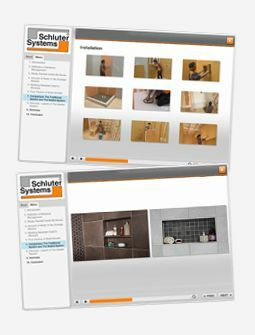 The Schluter®-QUADEC-FS profile requires no special maintenance or care and is resistant to mold and fungi. Clean profiles using common household cleaning agents.